This year at the Trail is bound to be the biggest and brightest yet! We’ve unveiled our absolutely packed events calendar full of specialty nights, fun activities and more. Also, we are excited to announce brand new activities, events and old Trail favorites that have been upgraded. 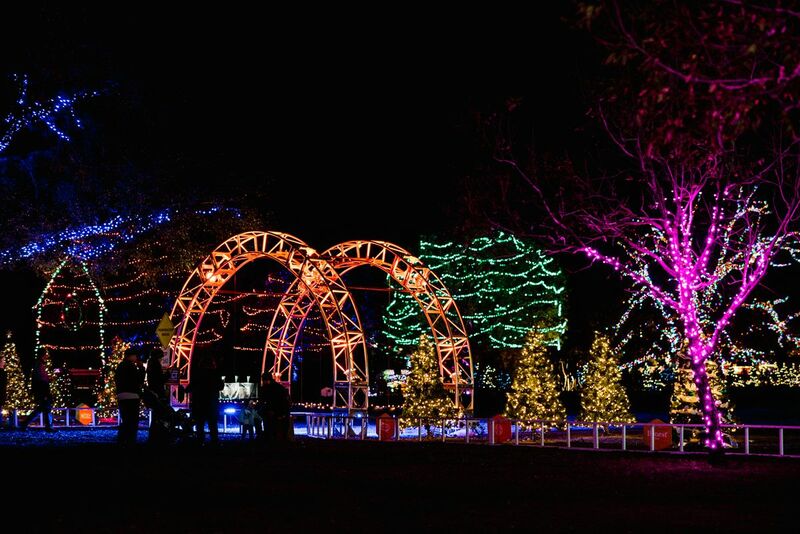 Get ready to celebrate traditions new and old this year at the Austin Trail of Lights. It’ll be a year you won’t want to miss! 2017’s event is a culmination of the past year, highlighting the people, music, groups, food, technology, charitable organizations and businesses that make Austin the place we love to call home. We have spent a year investing in more entertainment, new lighting, activities and community programs to ensure that this community event continues to improve year over year. Visitors in 2017 will see new modernized displays, interactive environments, Austin’s famous food trucks, local musical talent, movies, local merchants and more. Whether you want to run, stroll or dance to some great music, we’ve got something for everyone at the Austin Trail of Lights. This year’s calendar is jam packed – there is something happening every night at the trail, creating an opportunity for the entire community to enjoy everything that makes Austin unique. We begin the month of December with the Austin Trail of Lights annual Fun Run, presented by St. David’s HealthCare on Saturday, December 2 – a fun way for us to help “keep Austin active” during the holiday season. The run begins at the Zilker Tree and continues through the Trail of Lights ending in a Finish Line Festival and fitness expo – one of our own newer traditions. But this year we’ve added a VIP registrations to this family-fun event. VIP guests will have an upgraded experience at the Fun Run with access to the new VIP Lounge, comfort, food, drinks and more. Register for the 2017 AustinTrail of Lights Fun Run Today! We will continue the season with an other tradition – the annual Night Lights preview party, presented by Lyft on Friday, December 8– an exclusive evening kicking off the season in style. This evening’s guest will experience a sneak peek at the 2017 Trail of Lights and a night out complete with all local music acts, food tastings from Austin’s favorite restaurants, complementary bar, liquor tastings, Maker’s Market curated by Edible Austin, classic car show and more! Tickets will go on sale Wednesday, November 8 and can be purchased here. 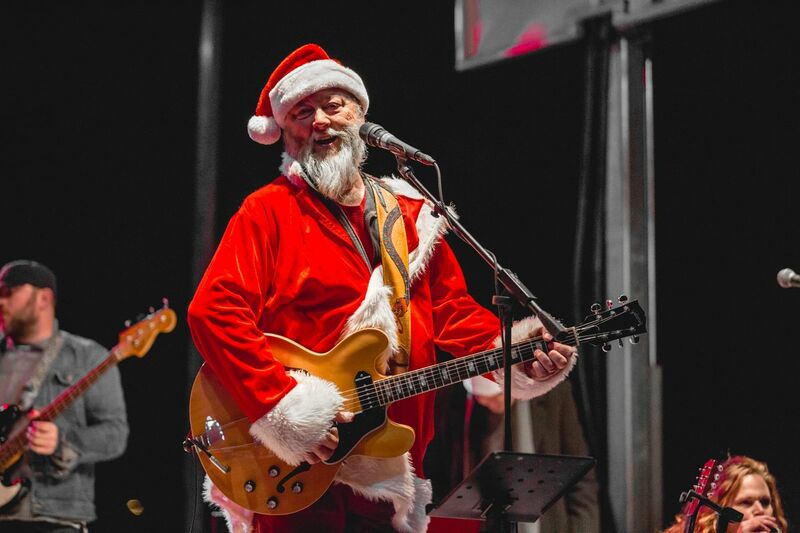 The official Austin Trail of Lights Grand Opening on Saturday, December 9 will feature a special opening ceremony by H-E-B and a special performance by Austin-based bluesman Alan Haynes. If you’re a fan of Texas blues, and let’s face it… who isn’t? – this guy played with legendary blues musicians such as Stevie Ray Vaughan, Johnny Winter, Albert Collins and Jimmie Vaughan to name a few. Calendars for ticket availability and online ticket purchases will be available November 8th. We are especially excited this year’s lineup full of local Austin musicians—from youth groups to amateur, emerging and headline artists. Head over to our event calendar for the full list. Local Austin entertainment will continue throughout the Trail of Lights with nightly acts by community and professional performers such as Mother Falcon String Trio, Whiskey Shivers, and DJ Mel at the Night Lights Preview Party on Friday, December 8; Alan Haynes at the Grand Opening on Saturday, December 9, The University of Texas Longhorn musicians and entertainers, Wood & Wire, Trube, Farrell & Snizz, Jomo & The Possum Posse, Datura, Tiarra Girls, and many others. The full entertainment schedule will be available here. We are continuing Storytime at the Trail by celebrity readers that we started last year. Each night at 7:30 pm, we will feature readers from throughout Austin—we will release names on our website regularly. Don’t forget about Movie Night at the Trail happening Tuesday, December 19 where we’ll be showing 2 family-friendly holiday classics which we will announce very soon! Check out the full Events Calendar to plan your trip to the Trail this year! And, of course, this is the Trail of LIGHTS… so we are continually developing new lights, displays and activities. This is the annual tradition that you need to come back to each year to see what is new and enjoy a full evening! New entry way tunnel to welcome guests – you’ll have to see for yourself! Hang ten with a new beach bum Santa display by new sponsor, NLand Surf Park. And we are going to send everyone out with a great bang with a completely retooled Starry Night Tunnel. This is a tunnel created back in the 1990s by Dell which we are taking into the future with the ongoing support of Lori and Tito Beveridge who have sponsored the tunnel for several years. We appreciate their investment to take the Trail to the next level. We figure that with 400,000 people coming to the Austin Trail of Lights every year—the 2nd largest event in Austin—we can make a really big impact in our own backyard. This year we are proud to be partnering with the Central Texas Food Bank for a food drive to feed hungry Central Texans. Imagine the impact we can make if every person brings a can? For perspective, if even 7% of the people attending the Trail bring food, that’s 25,000 meals—or enough to feed 6 full families for an entire year! This is something that we think Austin can absolutely accomplish—and even exceed. Austin produces one of the nation’s most amazing light shows in the state and even the country – we know we can move the needle for the families here who need our help. We will have bins out every night at the Austin Trail of Lights and at the Zilker Tree for you to make your contributions. So, please mark your calendars for your night – or two – at the Austin Trail of Lights. Pack your cans of food and come down to Zilker Park to celebrate with your family, friends and colleagues… and create memories to last a lifetime! 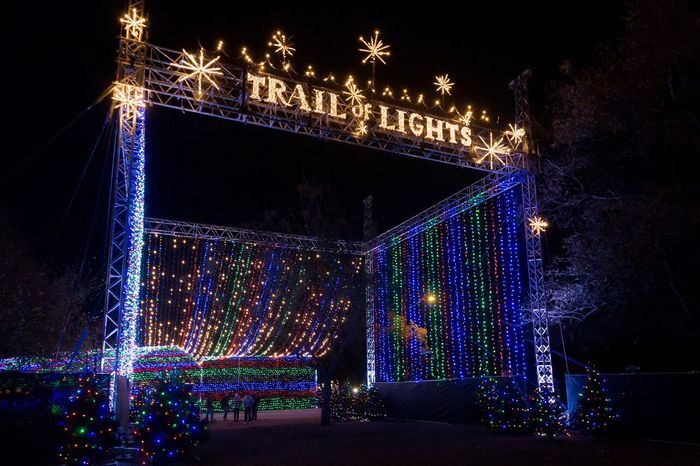 Head over to our Event Calendar to plan your trip to the Austin Trail of Lights today.